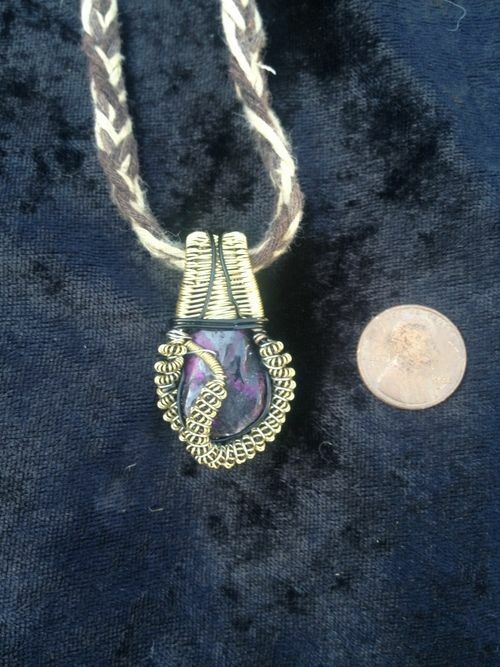 Sugilite wrapped in a hand-crafted copper wire cage. Sugilite is known to assist in connecting the physical to the spiritual, it aids in understanding the spiritual reasons for the lessons we encounter, as well as bringing loving comfort from the ...expand text. Sugilite wrapped in a hand-crafted copper wire cage. Sugilite is known to assist in connecting the physical to the spiritual, it aids in understanding the spiritual reasons for the lessons we encounter, as well as bringing loving comfort from the Universe to accept the lessons for what they truly are.